Oklahoma City is a city vibrant with life. Brimming with culture, Oklahoma City is home to various museums and art galleries. It´s easy to see why Oklahoma City properties for sale are so in demand. With a variety of fashionable retailers, fine dining establishments and cheerful entertainment, Oklahoma City has whatever you need to fill your schedule while still showing off the beauty of the plains of Oklahoma. Whatever you´re looking for, you can find a home in Oklahoma City that fits your exact needs and specifications. Contact us for more relocation information today. Another prime reality area is the Bricktown district, which just east of downtown Oklahoma City. This district is known for its entertainment like the AT & T Bricktown Ballpark, navigational canal and 16 screen movie theaters. As the largest school district in the state, the Oklahoma City Public Schools system gives you every educational opportunity imaginable. Many of the local schools available offer accelerated programs for advanced students. The Oklahoma School of Science and Mathematics offers students a step ahead to prepare them for math and science related professions. Schools like the Classen School of Advanced Studies frequently receive awards and commendations. There are also many private schools to fit any need. Look into the schools in your neighborhood before you buy to know your educational options. On Reno and Robinson in downtown Oklahoma City, you will find the Myriad Botanical Gardens. This is 17 acres of some of the most peaceful and beautific gardens in the entire city. It is an oasis in the middle of the busy, booming city. You can find countless types of trees and plants, as well as waterfalls, winding waterways and a sunken lake. Learn more about the flora and fauna here while you enjoy educational opportunities like the Oklahoma Gardening school and the Roaming the Rainforest summer programs. It´s truly one of Oklahoma City´s treasures. Contact your local real estate experts Dan and Janet Weber for listings that match your criteria in a place you'll love, Oklahoma City! 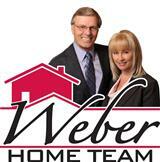 Contact The Weber Home Team today for assistance with Oklahoma City real estate.